iFetch is the award-winning automatic ball launcher for fetch-loving dogs. After a successfully funded Kickstarter campaign, the product came to market in 2013. 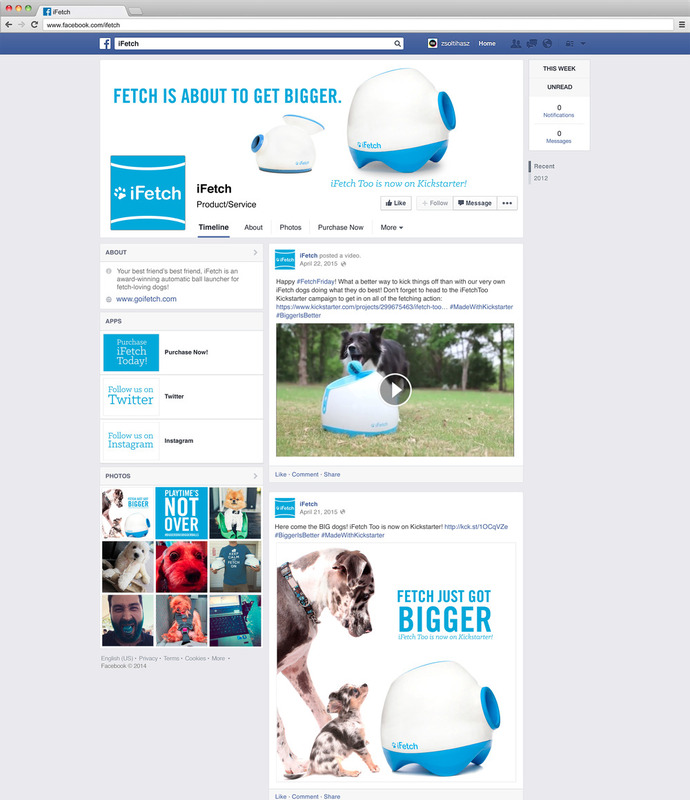 By designing everything from web to social, sales increased enough to launch a Kickstarter campaign for iFetch Too, a ball launcher designed for larger dogs.